EE Publishers Home»	Articles: EE Publishers»Eskom’s results: Revenue flat, costs up, massive loss – how will the lights stay on? 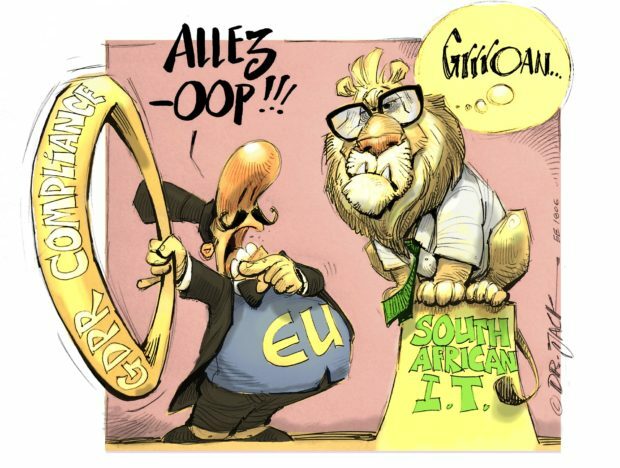 Eskom’s results: Revenue flat, costs up, massive loss – how will the lights stay on? Eskom’s recently released annual financial results reveal that this state-owned power utility is losing money hand-over-fist and is trying to get the public to finance it. Its published income statement document reports that in the year ended 31 March 2018 Eskom’s operating company (i.e. the company which generates and sells electricity, as opposed to the group which includes other activities as well as the operating company) lost R5,7-billion. One year ago, the utility posted a loss of R870-million; and one year before that it posted a profit (before tax) of R5-billion. 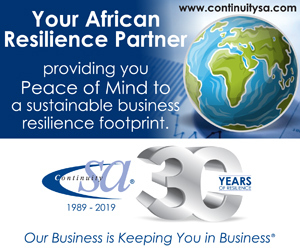 This means that the organisation has lost R10-billion between 2016 and 2018. Fig. 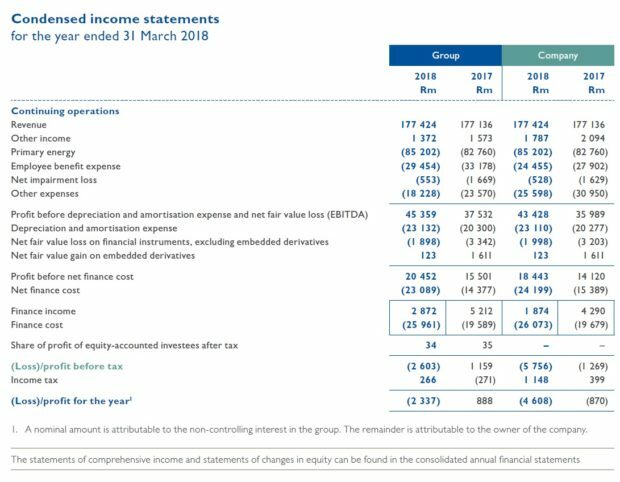 1: Condensed income statements for the year ended 31 March 2018 (Eskom). Revenue (i.e. income from the sale of electricity) has increased very slightly (7,9%) from R164-million in 2016 to R177-million in 2018; but costs have ballooned from R159-million to R182-million (14,5%). Net finance costs have jumped from R8,7-billion in 2016 to R24-billion in 2018. Despite this massive leap in finance costs, the utility intends to increase its debt from R387- to R600-billion over the next four years. Gearing is set to increase to 80% from 72% currently and 68% the year before. Eskom will need to increase its revenue significantly to service the finance costs associated with such a level of debt. 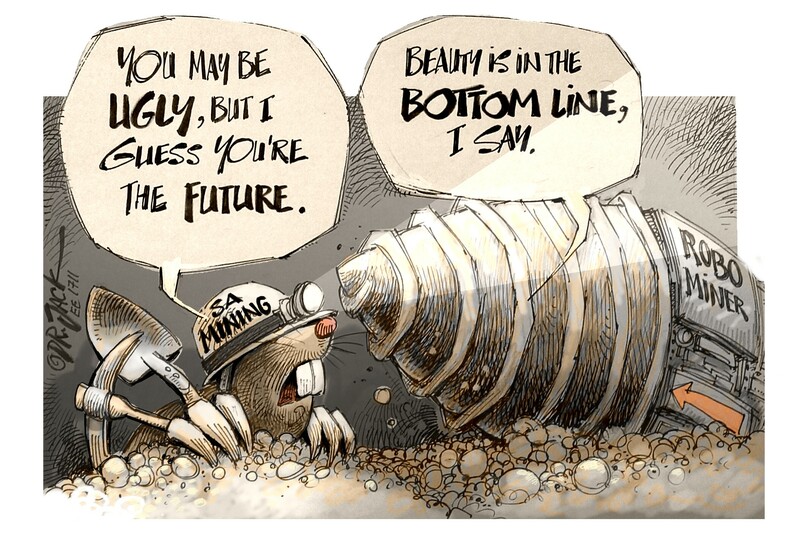 One of Eskom’s biggest challenges is the clearing of municipal debt. An amount of R13-billion is owing to Eskom by about 20 defaulting municipalities. The situation has been worsening over the last five years and it will be difficult to prevent this trend from continuing. Fig. 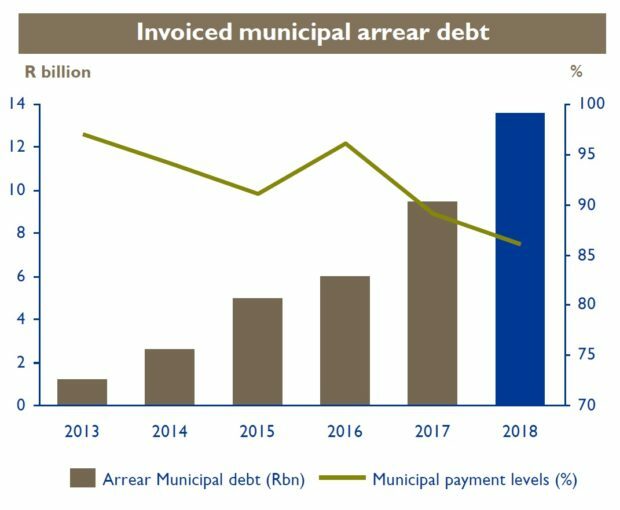 2: Invoiced municipal debt (Eskom). 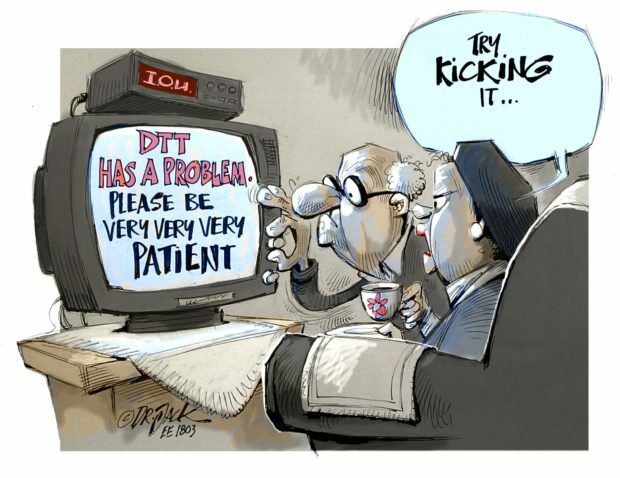 Another serious challenge facing Eskom’s new board is the history, in recent years, of corruption and maladministration. Most recently, the power utility received a qualified audit which raised concerns about R30-billion of “irregular” expenditure. Eskom says the figure is under R20-billion, but even this, at 11% of income, is a very large amount of money which could be put to better use within the organisation. Indeed, R20-billion extra on the income statement would result in the power utility showing a profit of almost R15-billion. Emphasis will be placed on maximising revenue and containing costs. To this end, Eskom plans to challenge Nersa’s decision in court, claiming that the 2018/19 tariff increase is insufficient. The power utility plans to reposition Eskom as a trusted state-owned entity by instilling transparent and effective governance which will include addressing the qualified audit which identified more irregular expenses. 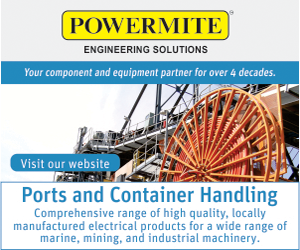 Increase its EBITDA by 21% from R37,5-billion to R45,4-billion in the current financial year. Achieve a Recovery Clearing Account (RCA) determination of R32,7-billion from Nersa. Improve liquidity by raising R57-billion. Reduce capital and operational expenditure to achieve financial viability. Grow new markets and products while retaining and growing existing clients. Achieve long-term sustainability and developmental mandate. Develop a sustainable business model for Eskom. Confirmed 3,5 TWh sales growth initiatives, resulting in R2,9-billion additional revenue over two years, with nine deals already signed. The utility will also address and reduce arrear debt by intensifying credit management and collect an additional R1-billion per annum from municipalities. Eskom says it will work together with Government to seek solutions to solve municipal arrear debt. The installation of prepaid meters will continue, the utility says, and the risk of increasing coal costs will be managed. Eskom will also prioritise of capex investments into cost-plus mines; optimise logistics costs, including migration from road to rail; and work in collaboration with a state-owned mining company. While we wish the new board every success, it is concerning that a further push for tariff increases is planned. If the large debt owed by the municipalities could be settled; and the practice of large “irregular” expenditure – as was highlighted by the auditors – could be stopped, it might be unnecessary to increase tariffs since this often has a negative effect on sales and always has a negative effect on the economy.